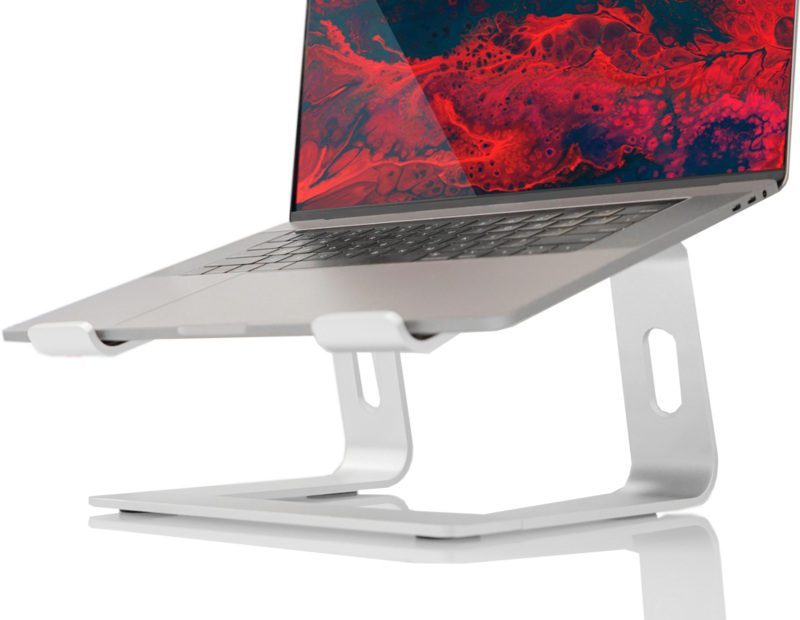 This is a functional laptop stand for elevating your device. The simplistic design of the ELEVATE provides the most basic laptop viewing solutions, earning its foothold in homes, offices, and classrooms. The Elevate also has slip-free silicone padding, and a simplistic design with modern styling keeping uninhibited heat dissipation in mind. Collapsible into 3 pieces in seconds; for effortless travel and a quick commute to the office, to class, or just to the living room!